'The Garden of the Poets' author event, Saturday, April 25th! 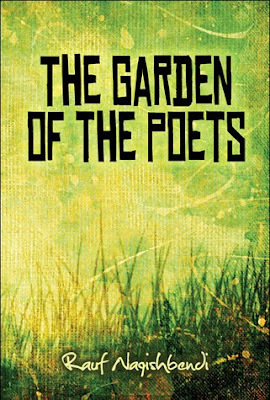 Join local author Rauf Naqishbendi as he discusses his new book 'The Garden of the Poets'. About the book: In 1988, Saddam Hussein bombed the town of Halabja with chemical weapons and nerve gas which killed more than 5,000 people within minutes. The bombing was part of his Anfal campaign, genocide against the Kurds. However, this is not entirely a book about death and destruction. It is a book which celebrates Kurdish culture through stories from the author’s childhood. It gives insight into Saddam’s reign of terror, but also tells the stories of the Kurdish people in Iraq with joy and humor. This book also includes episodes related to his experiences adapting to a new homeland, America. Such experiences are emblematic of a displaced people. While this book outlines the brutalities and hardships endured by the Kurdish people, it also embodies the simple nobility and joyful humor essential to our communal soul. This record of the Kurdish people captures the imagination, stirs compassion, and helps unravel a complex tapestry of ill-fated political decisions.